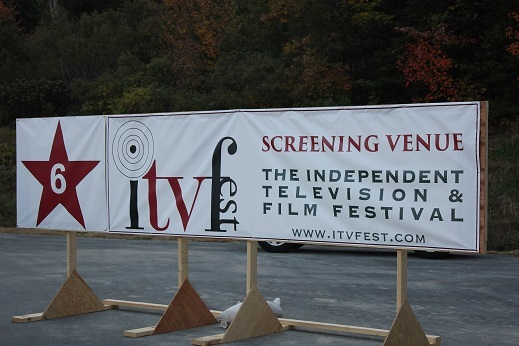 DOVER- The ninth annual ITVFest opens Friday, September 26, at noon, and the festival’s second year in Vermont is already off to a good start, according to organizer Philip Gilpin. In addition to the premium pass options, this year there are a number of lower cost options, including a $10 pass good for one screening only, a $49 one-day pass, and a $59 weekend pass for children 17 and under. The box office is located at Dover Forge this year. For locals, Gilpin has offered a chance to help support the Deerfield Valley Community Cares heating fund through the purchase of passes online, by entering the promo code “local” during checkout. DVCC will receive 10% of the ticket price. Gilpin said that, as the festival grows, he’d like to see it give back to the community, and his partnership with DVCC is a first step. As there was last year, there’s also local content at this year’s festival. At noon on Friday, Dover Elementary School students will help kick off the weekend with a presentation including two student-made films and a teaser from another student-made film to be shown at Dover Town Hall at 6 pm the same day. Townshend resident Tim Lawrence, who attracted a lot of interest last year for his series on railroads called “Forgotten Rails,” is back again this year with a series called “Rail Trails of America.” In it, Lawrence and his companion, Aries the Siberian husky, introduce viewers to public recreational trails that were once railways. There will also be a special screening of noted Walpole, NH, filmmaker Ken Burns’ latest documentary, “The Roosevelts,” on Saturday at 7 pm. Editor and associate producer Dan White, of Keene, NH, will be on hand for a question and answer session after the screening. One of the biggest changes festival-goers will find this year is the consolidation of venues. 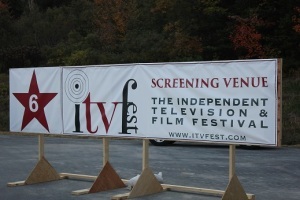 Last year, the festival was spread out with locations in Dover, Wilmington Village, and the Hermitage. This year, every venue is located along “festival mile,” stretching from the Inn at Sawmill Farm, along the Valley Trail to MHCA’s Dover Theater at Mountain Park Plaza.